This is really Huuuuge! 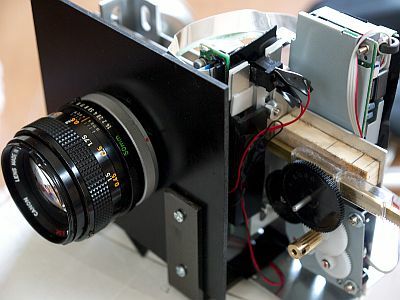 A Japanese geek made massive 130M pixel digital camera with CCD used in Epson's ordinary flat-bed scanner. As you can see in the image above, it looks more like a junk than a camera. But this adoreble device with 50mm lens can take insanely detailed images. Let's see the great work done on this, and the pictures taken by the camera. The scanner he used was the 1200dpi. So if I were to use the recent 4800dpi scanner...It is 16 times bigger so...It goes to order of GIGA. Wow. Too much difficulties in Mecha-tronics. I never know how difficult to move the CCD parallel. Maybe I should have given up the thing. 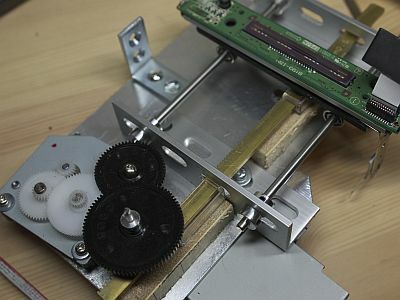 After some try-and-error I finally noticed that gear-driving the CCD works. And this is the photo of the thing which came out. Well, the road was tough. 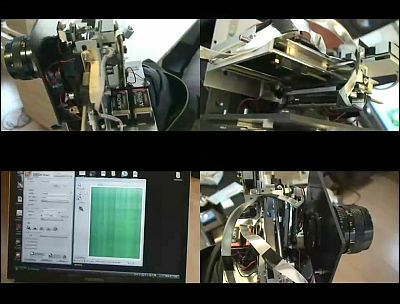 The first prototype broke by short circuit. Here's the continuation. To cheat the light-check by scanner driver, I put the dummy LED and a switch. It's pretty primitive, but it works. It's getting like a real camera, isn't it? And he succeeded in battery operation. Following is the video of actual shooting by the camera with scanner sound. And here's the gallery of sample images taken by the device on Flickr. All the images are artistically beautiful and technologically distinguished. 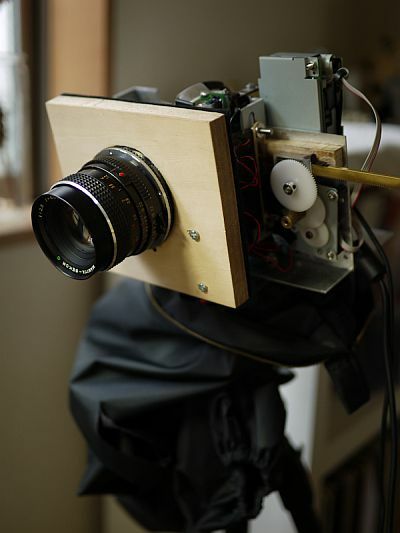 And this is the complete setup of the camera. There are few massive DIY project done by Japanese. Hope there will be more like this one.